You are here: Home / Blog / How Do Christians Fall Into Sin? Every person, every Christ-follower struggles with sin—whether we recognize it or not. While we tend to think of sin as being hideous and repulsive, which it is, it often masquerades as beauty and light and goodness as shown in 2 Corinthians 11:14. “And no wonder, for Satan himself masquerades as an angel of light.” If it feels good, looks good, smells good, it must be good, we reason. That sounds direct enough, so why do so many believers become entangled in sin? Well, Satan knows our flaws and finagles circumstances targeted to our weak areas. Let’s consider four specific ways Christ followers can get bogged down in sin. 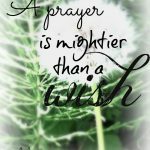 When we pray, God holistically fine tunes us—our souls, our spirits, our minds, and our bodies. When we pray, God holistically fine tunes us—our souls, our spirits, our minds, and our bodies. He adjusts our thinking to His. Immanuel prayer calls this “thought rhyming.” Surely if Jesus, who was also divine, needed this time, how much more do we? Yet many of us start our days without the calibration of our souls. Why is that? Frankly, many of us are just too busy. We’re consumed with family and job responsibilities or mesmerized by entertainment. We simply don’t set aside the time. The other day I got up early because I had several pressing deadlines. I remember thinking to myself as I was getting ready to write a post on praying, “I don’t have time for my quiet time today; I better just get started writing!” What is wrong with that attitude? I certainly needed a recalibration at that point! The lure of the world pulls us away from the call of the Word. the lure of the world pulls us away from the call of the Word. We are vulnerable to temptations and attacks because we don’t have our armor on. Another reason Christians fall into sin is because of our inherent weaknesses. Just as we each have gifts and strengths, we also have character flaws. In her study Armor of God, Priscilla Shirer tells us we would be wise to know our weaknesses and our strengths, because Satan will attack us in both of these areas. We need to identify our weaknesses so that we are alert to this area of attack. An area of weakness in my life has been fear, and it took several years for God to heal this. Still today, I keep a close watch on this area in my life. Thirdly, if we don’t overcome our weaknesses, they can turn into strongholds, a prison inside of us that keeps others from being able to reach us. Strongholds don’t develop overnight, but rather over time, from allowing wrong thinking, wrong believing, and wrong living to go unchecked. The Holy Spirit will always warn us, but we have the choice of whom we listen to. Strongholds that aren’t uprooted can turn into oppression, a state where our mind and emotions are tormented relentlessly by the enemy. Finally, many Christians also fall into sin because of pride. 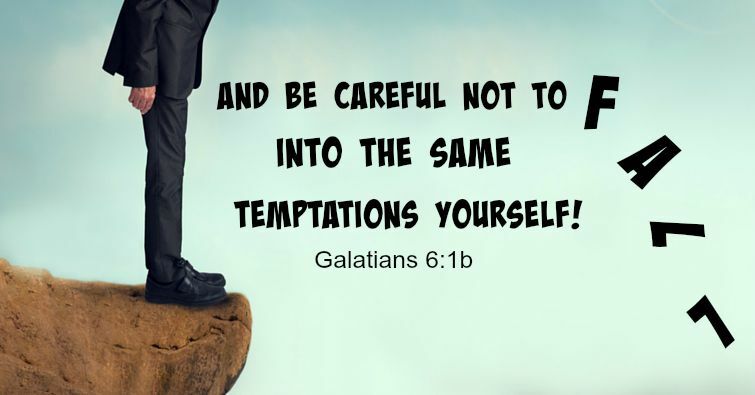 We think “I’ve got this; I can handle this temptation,” when instead we should do as 2 Timothy 2:22 says, “Flee the evil desires of youth.” Did you notice that God did not say “Stay and fight the temptations of youth (or middle age or old age)”? We are to FLEE from temptations. Our pride tells us to stay and beat it, but God knows that temptation is dangerous. Do not knowingly put yourself in the path of temptation, and if you find yourself there, get out of Dodge as fast as you can before it gets you. Do not try to rationalize sin. Over the years, the news has spotlighted many Christians who thought they were immune to the lure of sin and paid for it with their ministries, their witnesses, and their families. Don’t be the next one. Any one of these four situations can cause a believer to wind up in serious sin. But I’d also like to consider one other special circumstance. A trauma in our lives can leave us vulnerable to falling into sin if we don’t suffer in the right way. This may sound crazy, but there is a healthy way and an unhealthy way to walk through a tragedy in our lives. In the book Joyful Journey Listening to Immanuel, the four authors discuss how “any life event that leads us to feeling alone without help can be experienced as traumatic.” We may believe that God has abandoned us, even though the Bible says He has not. In his study of the brain, Dr. Karl Lehman states that there are pain-processing pathways in our brains that our traumas need to process through in order for complete healing to occur. God needs to take us through these. If we don’t allow Him to, unresolved pain in our lives causes us to search for relief—often in destructive, addictive ways. 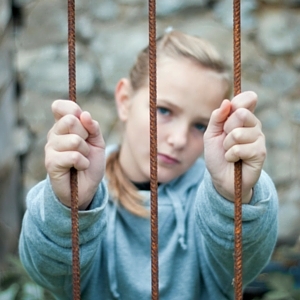 I discovered this firsthand while walking through the death of my second child. The first few months I was a mess. I couldn’t eat or sleep, was angry, fought with my husband, and was a lost soul. Finally, I joined a Bible Study Fellowship class and that was the beginning of my healing process. While, I can’t fully address all the information here (the above book is short and well worth the read), it’s important to suffer well without being estranged from God. A few ways we can reignite our “Relational Circuits” with God in the midst of tragedy is through the practice of interactive gratitude, thought rhyming, and practicing appreciation. The book addresses all of these things in depth. We have seen how not spending time with God, natural weaknesses, oppression, pride, and suffering can derail Christ-followers and cause us to fall into deep sin. The good news is that all of these things are choices we make. (While we don’t choose suffering, we can choose how we respond to it.) God has called us to holiness, and we can choose to live and walk that path. “For we are not controlled by the sinful nature but by the Spirit.” Romans 8:9. Christ has not been stingy with us. In fact, Ephesians 1:3 tells us that He has given us every spiritual blessing in the heavenly realm (think about that for a few minutes) to help us in life, which means He has certainly blessed us with the ability to overcome sin. Make time for Jesus. We’ve already seen the damage that not spending time with Him can cause. Write down a specific goal: I will spend 10 minutes reading the Bible each day. I will learn Interactive Gratitude and practice it four times a weak. I will pray for 15 minutes, and so on. Your goal should be measurable. All of these things will give you an immune booster shot to sin. Identify your strengths and weaknesses. If you don’t already know, ask God and a trusted friend to show you what your weaknesses are. 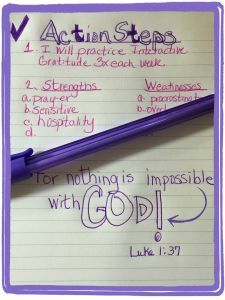 Bill Hybels calls weaknesses we aren’t aware of yet our “blind spots.” Write these down in a journal. Then ask God to help devise a plan to shore these up and write down the plan. Consider counseling, mentoring, a Bible study group, an accountability partner, whatever it takes; put in the work to overcome your weaknesses and always be alert in these areas to attacks. Realize Satan will also attack us where we are strong. So identify your strengths and write these down too and be alert to attacks. Practice taking every thought captive to Christ. Do not let strongholds form in your mind. 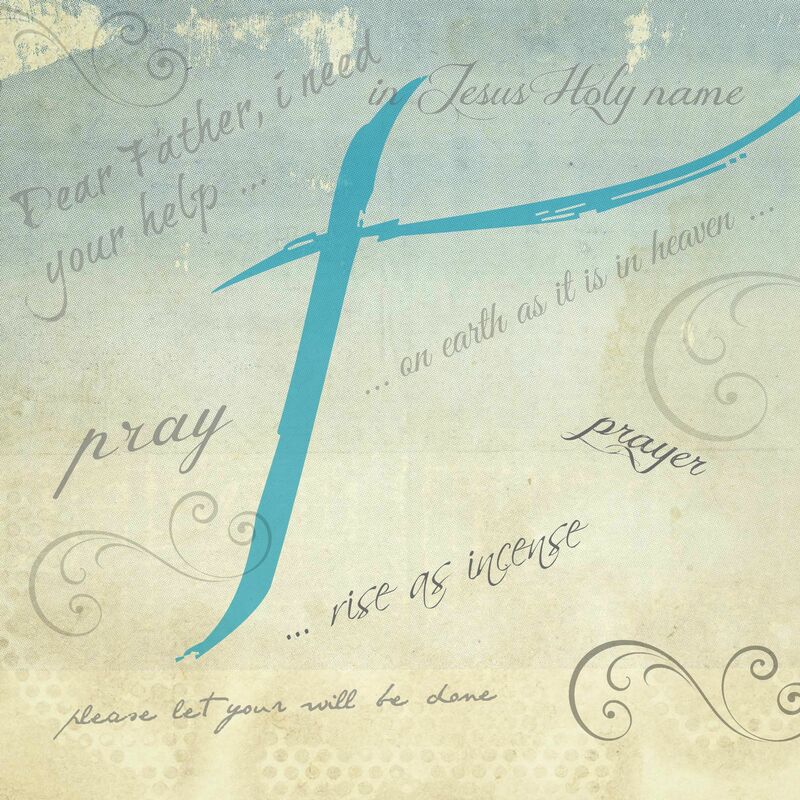 Write down and memorize Bible verses that speak to your areas of attack. Actually speak God’s truth over your life, your family, and your ministry. God’s word is alive and active and sharper than a two-edged sword. It is much stronger than the enemy, and it will protect your mind. Step up, believer, and stand firm in the faith. God is faithful to finish what He has started in you. What are your thoughts? Please share any ideas you have on overcoming sin.